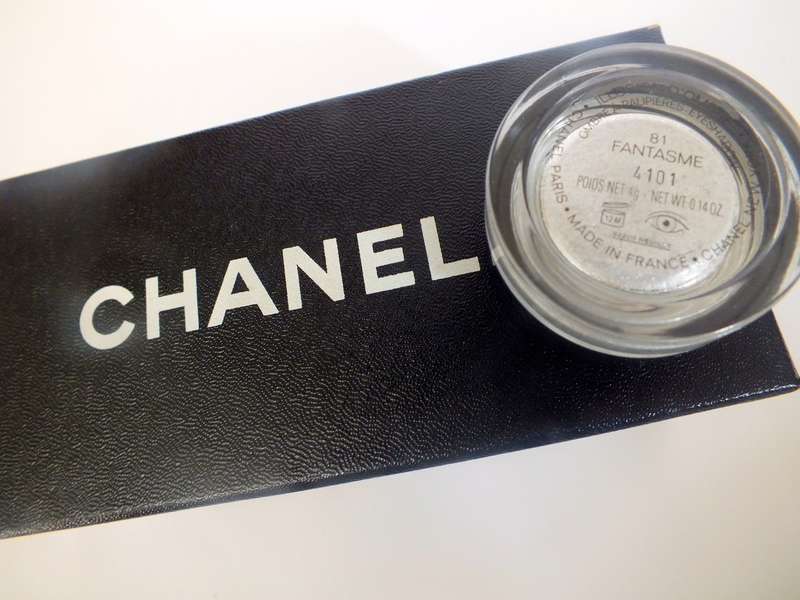 The long titled Illusion D'Ombre Long Wear Luminous Eyeshadow from Chanel in the shade Fantasme has been hiding in my stash since my mum treated me on one of our shopping trips together because who can resist Chanel in it's sparkliest form? 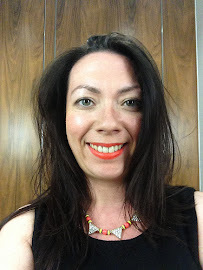 Whilst getting ready to head into London to find a dress for my friends birthday party (which you can read about here) I decided to glam things up a bit make up wise so I would have the full effect when trying on clothes. Chanel should have been the obvious choice but it was in fact only picked up to cover a cream eyeshadow that wasn't working but did leave a base with me to work with. I'd spent the previous few days experimenting with Mac pigments and Barry M dazzle dusts and assumed the Illusion D'Ombre was a similar formula but I was quite surprised when I dipped my brush into a soft and spongey gel texture. 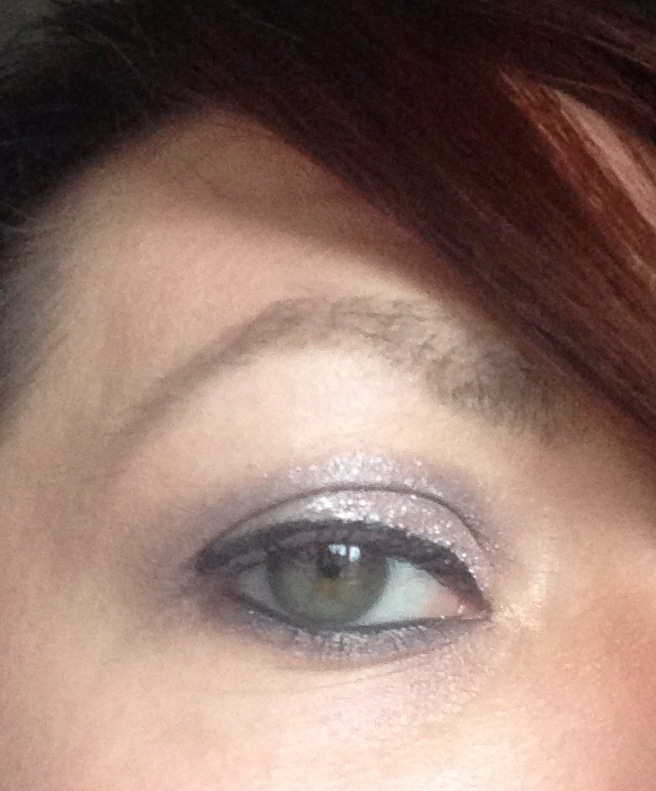 Feeling brave I persevered and swept the eyeshadow across my lid and loved the results. It's sheer but buildable and the silvery white shimmer looks beautiful when it catches the light. I used Mac Knight Devine through my crease to add some definition and a black liner to finish things off and was happy with the results and felt very dolled up for my trip 'up West'. I still feel like I'm at an experimental stage with make up, especially with a view to what I'll choose to blog about but I think on this occasion I got it quite right, which was validated when I was sitting in Chanel swooning over handbags and the assistant pulled me aside as I was leaving to ask where my eyeshadow was from and complimented me on how nice it looked. 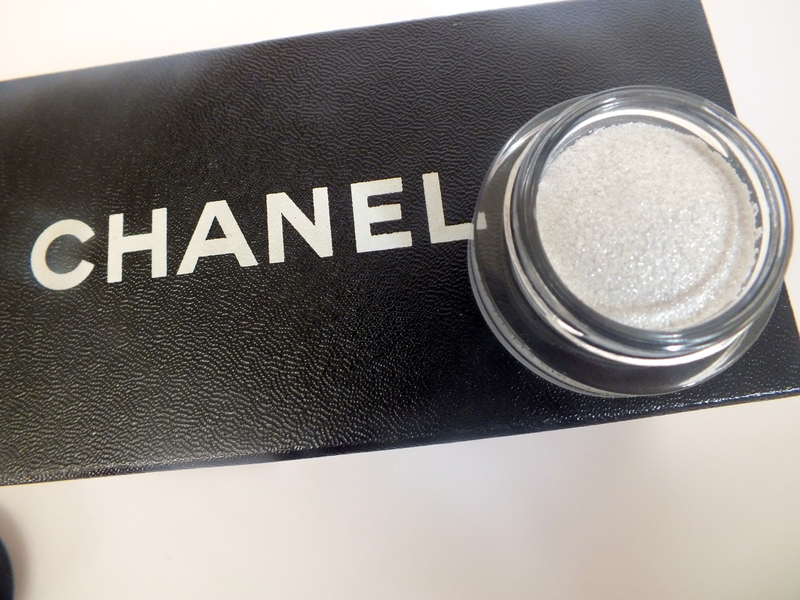 It's a thumbs up for Chanel glitter from me, what do you think? Oh wow, it's so pretty on you! I've wanted to try Chanel Illusion D'Ombres for ages but have never pulled the trigger. I'm a bit nervous once I start I won't be able to stop! They're always so pretty when I've swatched them in store but I don't think I've ever seen this one. So gorgeous. It is dangerous as I am now tempted to buy more! I've had this months if not at least a year and no drying up yet! I really like that, especially if it's long lasting. Definitely one to add to the shopping (or birthday) list! Oh gosh, it looks gorgeous. Adds to wish list..